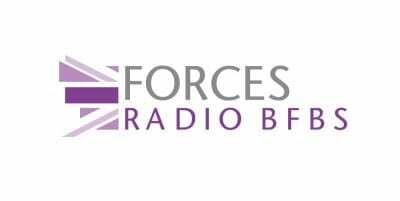 Forces Radio BFBS, the ad-free broadcaster which entertains, informs, connects and champions the British Forces community, launched on DAB+ in the UK this morning (24 January 2018). Station favourites such as X Factor finalist, Jay James, and award-winning presenter, Hal Stewart, are part of the station line-up with their highly energetic, fun-packed music and entertainment radio programme, The Big Show. Former Magic co-host, Verity Geere, and forces favourite, Richard Hatch, are now waking up the nation with their breakfast show every weekday morning on DAB+. To listen to the station, search for ‘Forces’ or ‘ForcesRadio BFBS’ on your DAB+ radio, and for more information about how to tune in and check that there’s coverage where you are, see www.forces.net/dabplus or use the Postcode Checker. The station is also available via the free BFBS App (search ‘BFBS Radio’ in the app stores), online at www.forces.net, on local FM in UK military locations and on digital TV (Sky 0211 and Freesat 786).